NOTE: This only applies if you are using the Keyword Filtering add-on. You have any keyword filtering options set up in your general plugin settings. 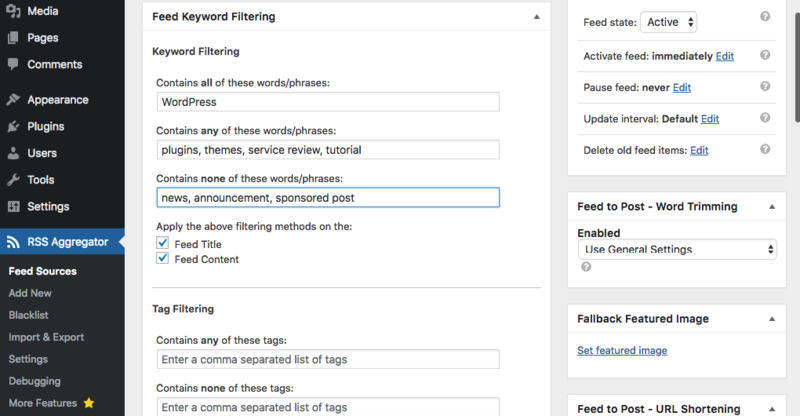 You have any keyword filtering options set up in your individual feed sources. These might prevent importing of new feed items if the keywords, phrases or tags match to the feed items you are attempting to import in any way. For instance, filtering for items that do not contain the keyword “and” in the post content will most likely result in no imports, since it is a very common conjunction.